External Surgical Drainage system in silicone, with closed circuit to the environment and anti-reflux valve on drainage catheter. 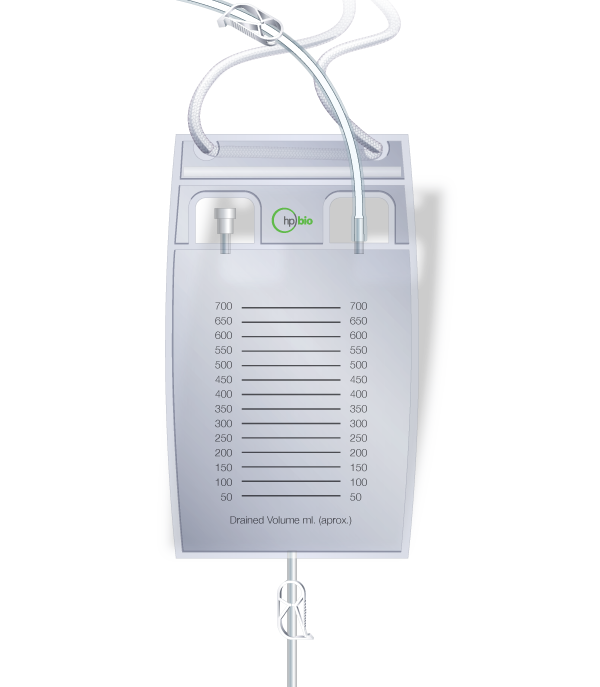 NeuroDrain is produced in two models: Silsuc-R with suction reservoir in silicone, and Silsuc-B with collection bag for gravitational drainage. Between drain and catheter allowing a non-traumatic extraction of the drain. Preventes pneumocephalus and infections caused by reflux of the drained liquid. With 200 or 100ml, appropriate for suction drainage in craniotomies, spine surgeries or procedures that require prolonged drainage. 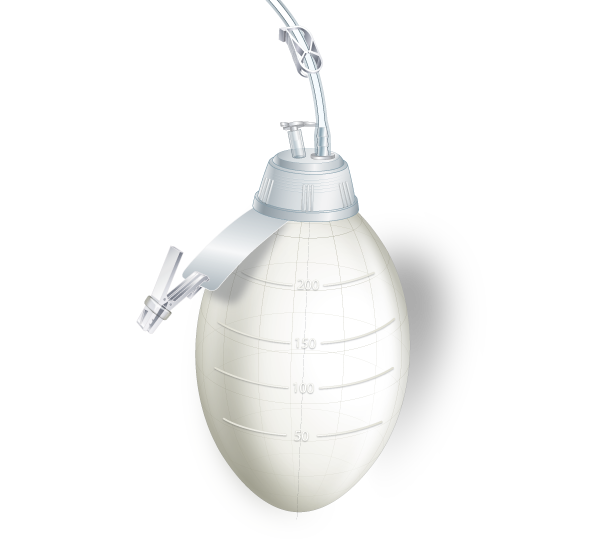 With 700ml, appropriate for gravitational drainage and specially indicated for subdural collections as hematomas, hygromas or emphysema. All models are supplied with Angled Introducer and Anti-reflux tube system.